For most editors, creating custom music scores tends to fall into the “above my pay grade” category. If you are a whizz with GarageBand or Logic Pro X, then you might dip into Apple’s loop resources. But most commercials and corporate videos are easily serviced by the myriad of stock music sites, like Premium Beat and Music Bed. Some music customization is also possible with tracks from companies like SmartSound. Yet, none of the go-to music library sites offer curated, genre-based, packages of tracks and elements that make it easy to build up a functional score for longer dramatic productions. Such projects are usually the work of composers or a specific music supervisor, sound designer, or music editor doing a lot of searching and piecing together from a wide range of resources. Enter Luca Visual FX – a developer best known for visual effects plug-ins, such as Light Kit 2.0. It turns out that Luca Bonomo is also a composer. 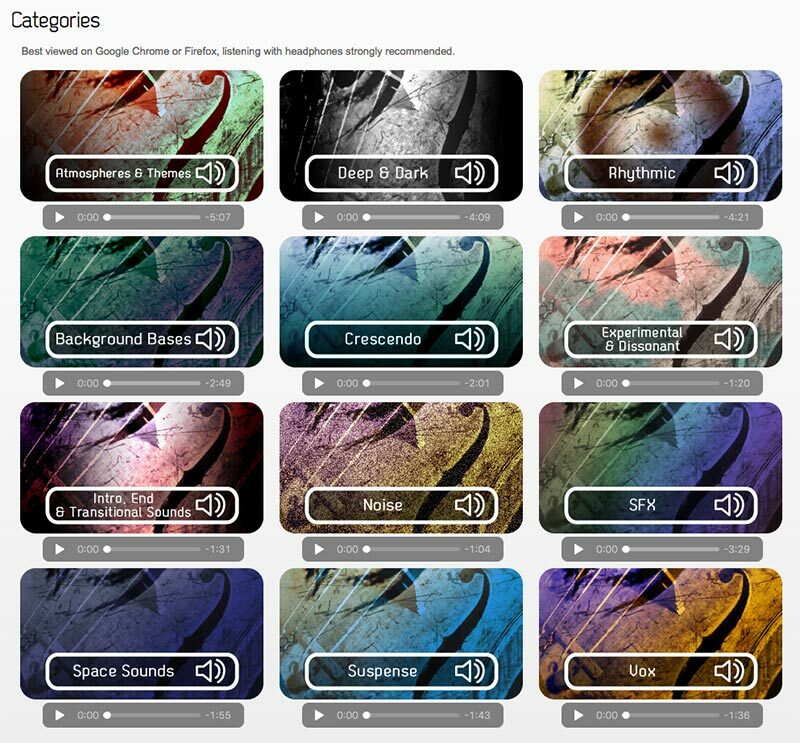 The first offering is the Mystery & Suspense Music and Sound Library, which is a collection of 500 clips, comprising music themes, atmospheres, drones, loops, and sound effects. This is a complete toolkit designed to make it easy to combine elements, in order to create a custom score for dramatic productions in the mystery or suspense genre. These tracks are available for purchase as a single library through the LucaVFX website. They are downloaded as uncompressed, stereo AIF files in a 24-bit/96kHz resolution. This means they are of top quality and compatible with any Mac or PC NLE or DAW application. Best yet, is the awesome price of $79. The package is licensed for a single user and may be used for any audio or video production, including for commercial purposes. Thanks to LucaVFX, I was able to download and test out the Library on a recent short film. The story is a suspense drama in the style of a Twilight Zone episode, so creating a non-specific, ethereal score fits perfectly. Drones, dissonance, and other suspenseful sounds are completely in line, which is where this collection shines. Although I could have used any application to build this, I opted for Apple’s Final Cut Pro X. 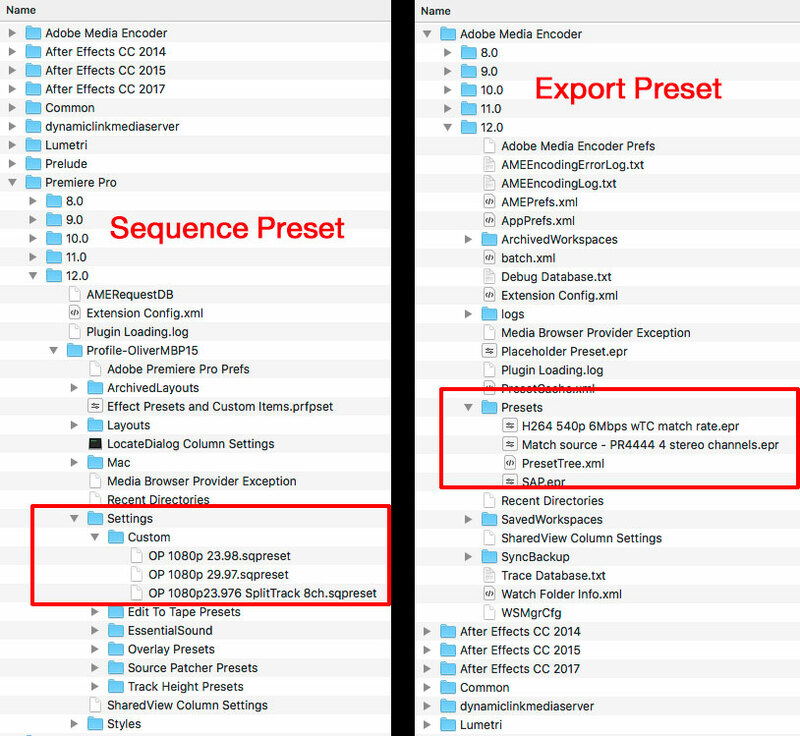 Because of its unique keyword structure, it made sense to first set up a separate FCPX library for only the Mystery & Suspense package. During import, I let FCPX create keyword collections based on the Finder folders. 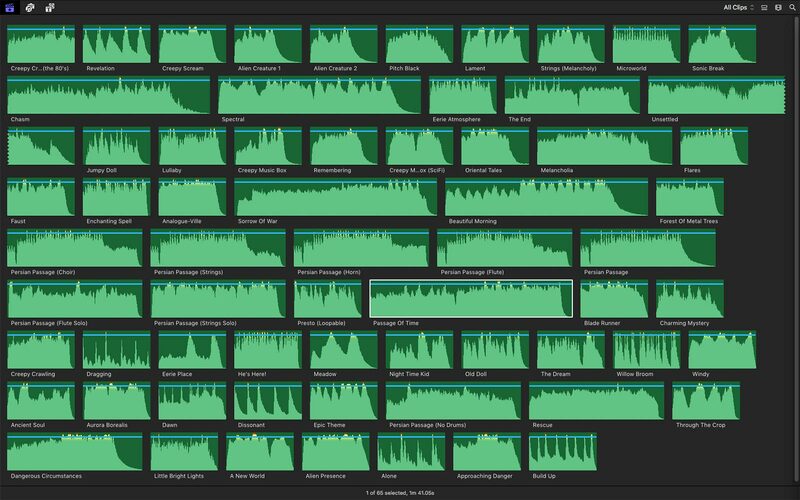 This keeps the Mystery & Suspense FCPX library organized in the same way as they are originally grouped. Doing so, facilitates fast and easy sorting and previewing of any of the 500 clips within the music library. Then I created a separate FCPX library for the production itself. With both FCPX libraries open, I could quickly preview and place clips from my music library to the edit sequence for the film, located within the other FCPX library. 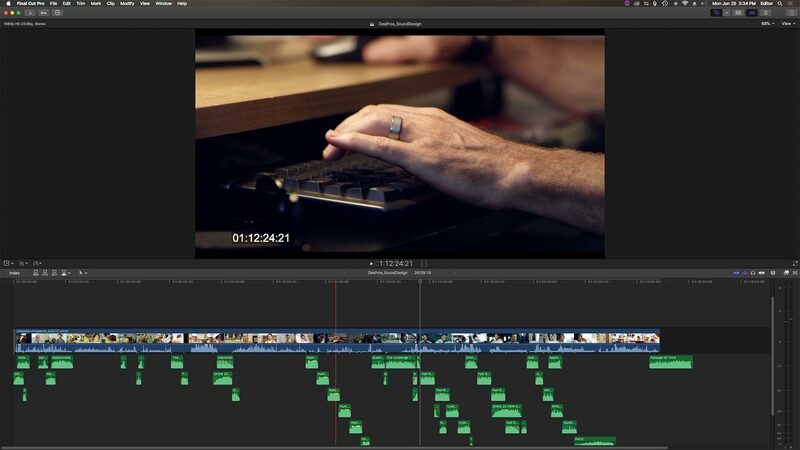 Final Cut uses Connected Clips instead of tracks. This means that you can quickly build up and align overlapping atmospheres, transitions, loops, and themes for a densely layered music score in a very freeform manner. I was able to build up a convincing score for a half-hour-long piece in less that an afternoon. Granted, this isn’t mixed yet, but at least I now have the musical elements that I want and where I want them. I feel that style of working is definitely faster in Final Cut Pro X – and more conducive to creative experimentation – but it would certain work just as well in other applications. The Mystery & Suspense Library is definitely a winner, although I do have a few minor quibbles. First, the music and effects are in keeping with the genre, but don’t go beyond it. When creating a score for this kind of production, you also need some “normal” or “lighter” moods for certain scenes or transitions. I felt that was missing and I would still have to step outside of this package to complete the score. Secondly, many of the clips have a synthesized or electronic tone to them, thanks to the instruments used to create the music. That’s not out of character with the genre, but I still would have liked some of these to include more natural instruments than they do. In fairness to LucaVFX, if the Mystery & Suspense Library is successful, then the company will create more libraries in other genres, including lighter fare. In conclusion, this is a high quality library perfectly in keeping with its intended genre. Using it is fast and flexible, making it possible for even the most musically-challenged editor to develop a convincing, custom score without breaking the bank. There are plenty of modern tools that deal with audio, but sometimes you need a product with a very narrow focus to do the job without compromise. That’s where Sound Forge Pro fits in. Originally part of Sonic Foundry’s software development, the product, along with its siblings Vegas Pro and Acid, migrated to Sony Creative Software. Sony, in turn, sold off those products to German software developer Magix, where they appear to have found a good home. I recently tested Sound Forge Pro Mac 3, which is the macOS companion to Sound Forge Pro 11 on the Windows side. (Sound Forge Pro 12 is expected to roll out in 2018.) Both are advanced, multichannel audio editors, dedicated to editing, processing, and mastering individual audio files, as opposed to a DAW application, which is designed for mixing. Although Magix’s other products are PC-centric, they’ve done a good job embracing and improving the Mac products. Sound Forge also comes in the Audio Studio version – a lower cost Windows product designed for users who don’t need quite as many features. There is no Mac equivalent for it yet. The former Mac version that was sold through Apple’s Mac App Store is no longer available. Naturally a product like Sound Forge Pro may require some justification for its price tag, since the application competes with great audio tools within most modern NLEs, like Final Cut Pro X, Premiere Pro, or Resolve. It’s also competing with Adobe Audition (included with a Creative Cloud subscription) and Apple Logic Pro X, which sports a lower cost. Sound Forge Pro is primarily designed as a dedicated audio mastering application, that does precision audio editing. It works with multichannel audio files (up to 32 tracks) in maximum bit rates of 24-bit, 32-bit, and 64-bit float at up to 192kHz. It also works with video files, although it will only import the audio channels for processing. Sound Forge Pro for the Mac comes with several iZotope plug-ins, including Declicker, Declipper, Denoiser, Ozone Elements 7, and RX Elements. (The Windows version includes a slightly different mix of iZotope plug-ins.) 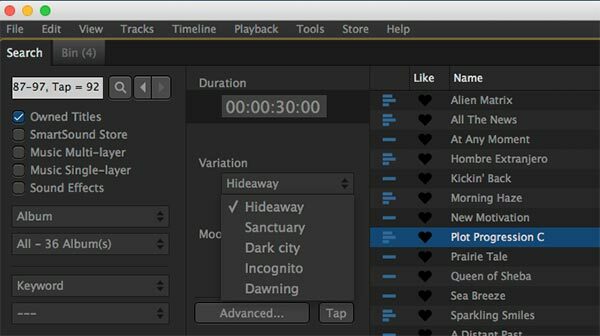 That’s on top Magix’s own plug-ins and any other AU plug-ins that might already be installed on your Mac from other applications. The bottom line is that you have a lot of effects and processing horsepower to work with when using Sound Forge Pro. Even though Sound Forge Pro is essentially a single file editor, you can work with multiple individual files. Multiple files are displayed within the interface as horizontal tabs or in a vertical stack. You can process multiple files at the same time and can copy and paste between them. You can also copy and paste between individual channels within a single multichannel file. As an audio editor, it’s fast, tactile, and non-destructive, making it ideal for music editing, podcasts, radio interviews, and more. For audio producers, it complies with Red Book Standard CD authoring. 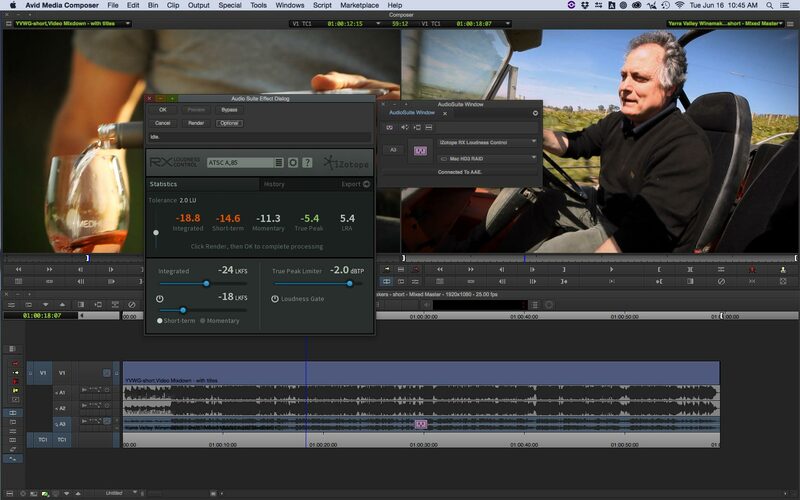 The attraction for video editors is its mastering tools, especially loudness control for broadcast compliance. Both Magix’s Wave Hammer and iZotope Ozone 7 Elements’ mastering tools are great for solving loudness issues. That’s aided by accurate LUFS metering. Other cool tools include AutoTrim, which automatically removes gaps of silence at the beginnings and ends of files or from regions within a file. There is also élastique Timestretch, a processing tool to slow down or speed up audio, while maintaining the correct pitch. Timestretch can be applied to an entire file or simply a section within a file. Effects tools and plug-ins are divided into those that require processing and those that can be played in real-time. For example, Timestretch is applied as a processing step, whereas a reverb filter would play in real time. Processing is typically fast on any modern desktop or laptop computer, thanks to the application’s 64-bit engine. Basic editing is as simple as marking a section and hitting the delete key. You can also split a file into events and then trim, delete, move, or copy & paste event blocks. If you slide an event to overlap another, a crossfade is automatically created. You can adjust the fade-in/fade-out slopes of these crossfades. The only missing item is the ability to scrub through audio in any fashion. 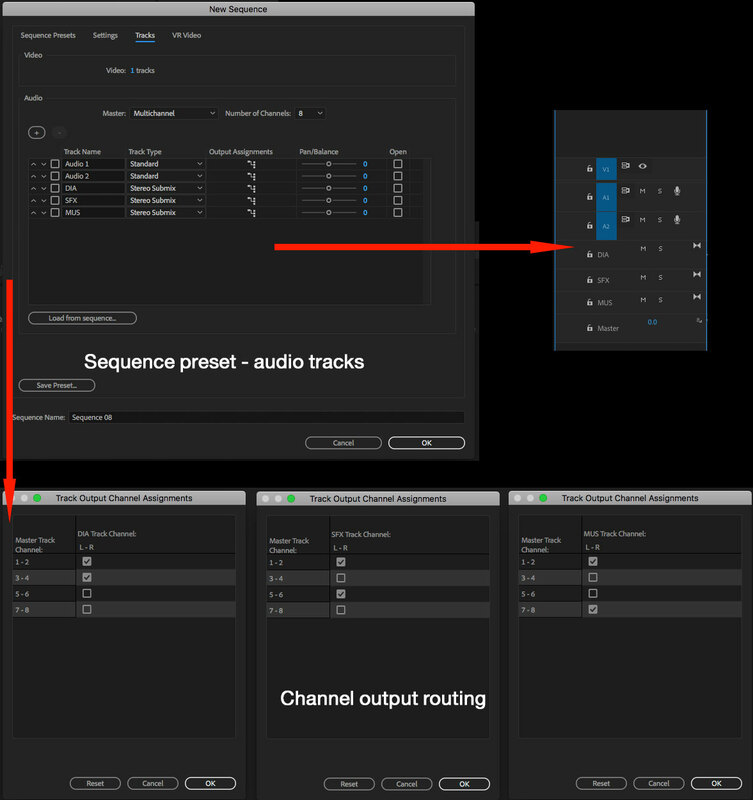 So, no mouse scrub or JKL-key jogging with audible audio, as you’d normally find in an NLE application. That’s apparently there in the Windows versions, but not in this Mac version. 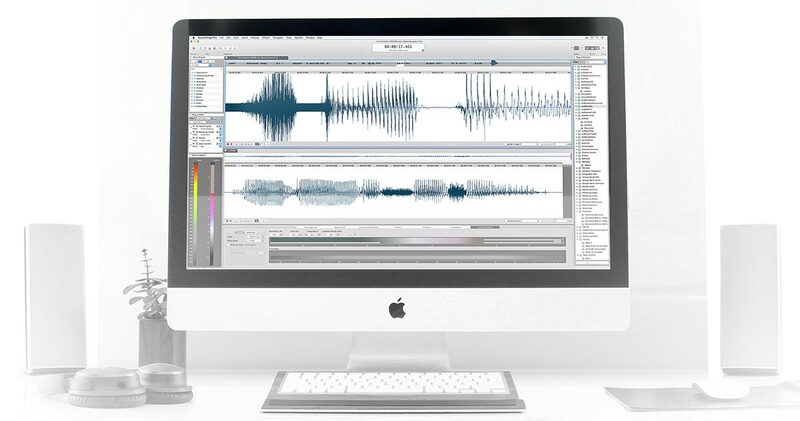 All in all, if audio is a significant part of your workload and you want to handle it in a better and easier fashion, then Sound Forge Pro Mac 3 is worth the investment. 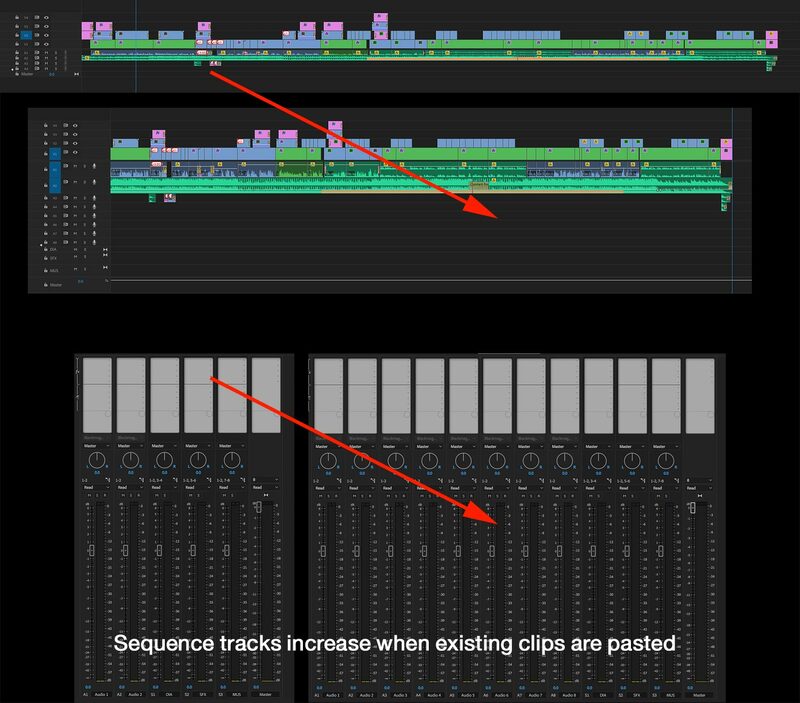 Most editors have a pretty innate sense of rhythm, yet often finding and tailoring the right music to your video poses a challenge for even the most talented cutter. SmartSound has provided a solution to this dilemma for many years. Last year they updated their custom Sonicfire Pro audio mixing software to version 6. This update adds interesting new features and support for today’s crop of NLEs. The starting point is SmartSound’s library of original music. You buy the tracks you like once, which includes easy licensing, and then tailor the song for the length needed, for as many productions as required. 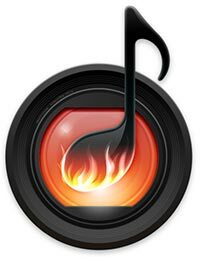 SmartSound’s offerings cover a wide range of genres, all of which have been quantized into beat blocks that the Sonicfire Pro application automatically uses for timing adjustments. While this might sound like all the music would need to be synthetically generated – it isn’t. These tracks are played by humans with real instruments, so if you want rock, electronic, symphonic, etc. – you’ve got it. Many selections have been mood-mapped – SmartSound’s term to identify music cues that are multi-layered with up to nine instrument layers. 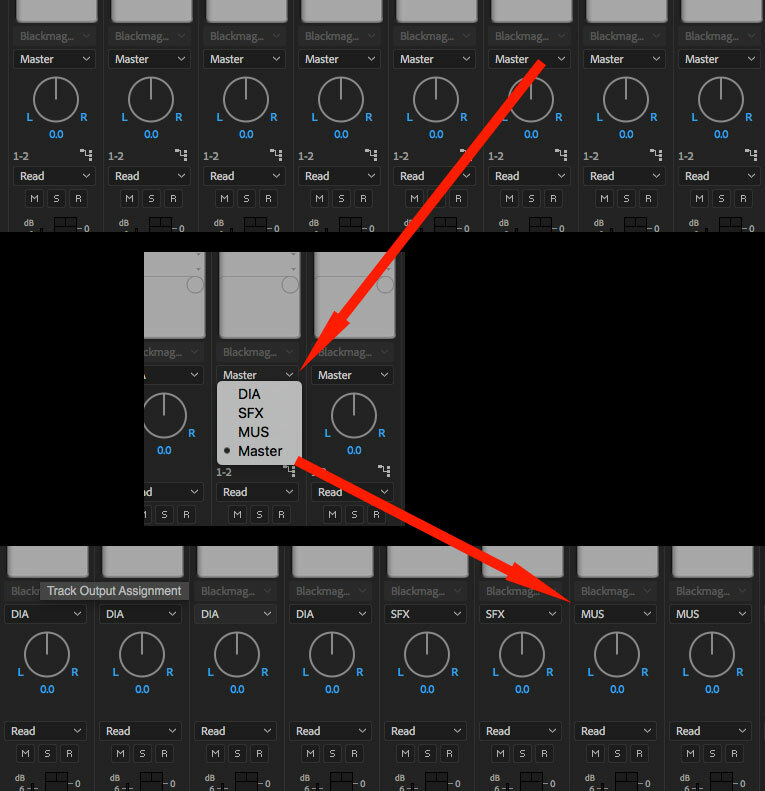 If you like the track, but want to lose the drums or lower the lead instrument’s volume within the mix, simply turn off that layer or adjust its volume envelope. 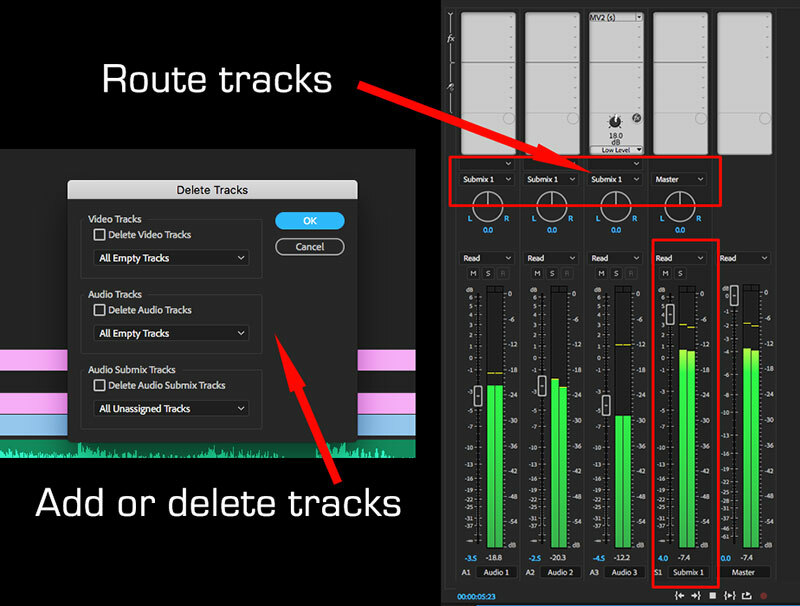 Both multi-layer and single-layer tracks can all be adjusted for time within Sonicfire Pro. The new Sonicfire Pro 6 application is a welcomed update. It’s more streamlined than version 5, with a clean, modern interface. This excellent mini-tutorial by Larry Jordan will give you a quick overview of how it works. From within the application, you have immediate access to all of your owned titles, as well as any other SmartSound selection (when you are online). If you don’t already own it, find something from SmartSound that you like, buy and download it right from within Sonicfire Pro 6. In the upper browser pane, search for specific tracks, albums and style, or sort by tempo or intensity. Naturally, Sonicfire Pro 6 supports video, since it’s intended to empower user-friendly music scoring to picture. To add a video clip, show the video window and from its pulldown, select “Add Video”. 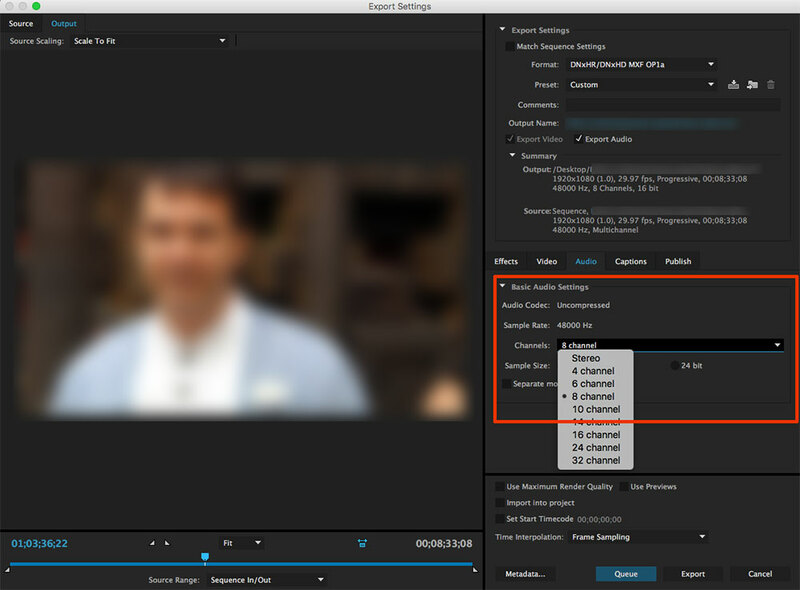 You can also resize the Sonicfire Pro 6 interface larger (it references your monitor size automatically) and at the right size it will allow you to have both the Video window and either the Inspector or Markers window open simultaneously, so you can actually reference your video when making adjustments in these panels. Now the video will run in sync with your timeline. You can also import audio from a video file, if you want to do the whole mix in Sonicfire – much like a traditional DAW. In addition, you can also export tracks, full mixes and/or complete audio/video files with completed mixes. However, this is optional, as you can run SFP6 as just an audio-only tool without ever involving video, should you decide to work that way. When you initially pick a track, three settings will get you started. The first is duration. Enter the desired duration and Sonicfire Pro will change the song structure to fit the length. It does this without just repeating the same loop. Next, pick your variation. Each track has a set of variations, which are different arrangements of the same song. Finally, for mood-mapped (multi-layer) tracks, make a mood selection. Moods are different instrument arrangements within the song, going from a full mix to various combinations of dominant instruments used for that song. Finally, there’s a advanced tab for additional options, including adjusting the mix of multi-layer tracks and shifting the tempo. A really cool search function is “Tap”. Simply tap out the beats by clicking the Tap button a few times and Sonicfire Pro will subsequently sort the library selections based on the tempo you tapped out. Once you’ve auditioned and (optionally) adjusted the duration, variation and mood, drag and drop the selection to the timeline at the bottom of the application window. 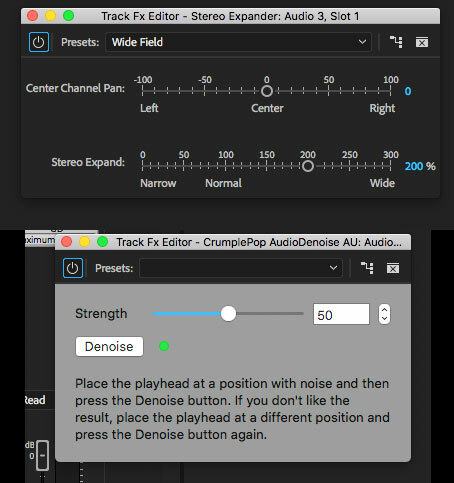 If you need the track to be longer or shorter, just drag the edge of the clip to the desired length and Sonicfire Pro will automatically change the arrangement as needed, based on SmartSound’s proprietary beat block structure. 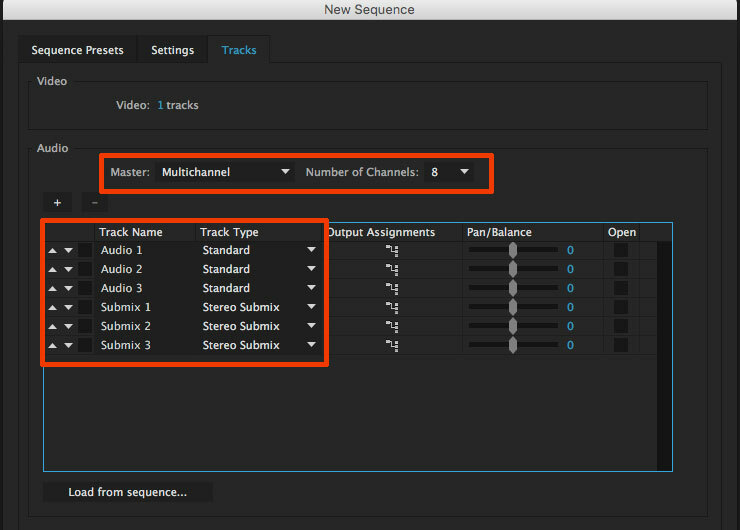 Additional selections can be dragged to the timeline, so it’s easy to score an entire video using multiple track selections. Each added song dragged to the timeline creates its own, new track on the timeline. This enables you to still make volume, length and mood adjustments to a song without affecting other surrounding selections on that timeline. Within the inspector you have additional controls, including the fade in and out handles for a clip, along with a new timing control feature. This was introduced in SFP5, but improved in version 6. As of this writing SmartSound has updated 110 albums for this feature, that’s over 1,100 tracks, and adds new albums regularly. For the tracks that have been updated, when you enable timing control, several markers appear on the clip in the timeline. 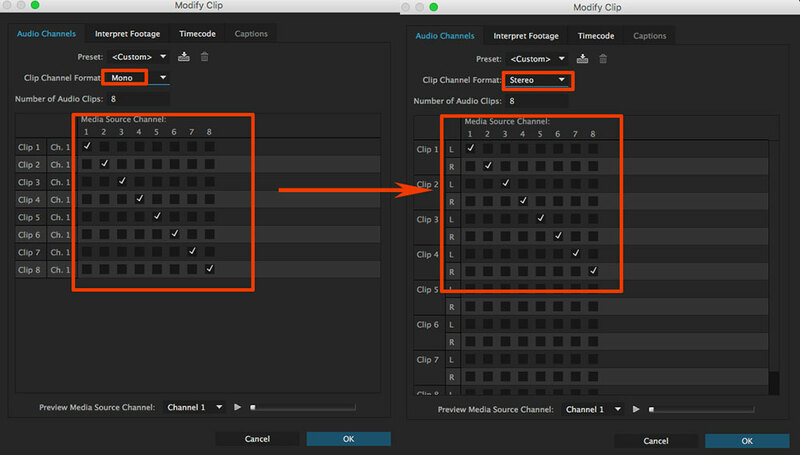 These markers can be dragged to better adjust song changes to match key points in your video. When you drag a marker, SFP6 automatically shuffles the arrangement of that song. For example, if you want a big ending to happen at a better match for your video cut, sliding the marker will make this happen. In actual practice during my testing, this was a bit of trial and error. In one case, a change made too close to the end left me with an incomplete ending. I needed to also slide the track length a tad longer for SFP6 to come up with a good-sounding ending. But, this feature is designed to enable experimentation to produce a custom score, so, don’t be afraid to play with it. Finally, as part of its integration with NLEs, Sonicfire offers a new feature called “Cut-Video-to-Music”. Final Cut Pro X, Premiere Pro CC, Avid Media Composer and Vegas Pro are all supported. This new feature lets you export a track along with a corresponding XML file, which in turn is imported into the designated project. 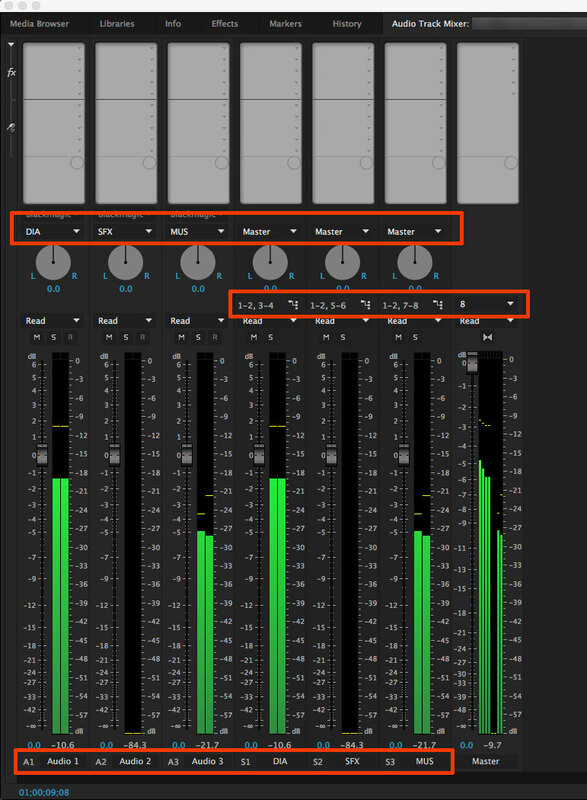 Inside the NLE, the track shows up with markers identifying your choice of either beats, strong beats only, SmartSound blocks or music sections, making it easy to edit picture cuts accordingly. Make sure you are running on the most recent version after you initially install the software. I did run into some minor issues with the initial 6.0.0 version, which were fixed with the 6.0.3 update. Updates may be downloaded from the SmartSound website. Overall, SmartSound’s Sonicfire Pro 6 is a welcomed refresh to a wonderful tool. To my knowledge, no other software developer offers anything to match it. Adobe briefly tried with its custom music features inside Soundbooth, but then dropped this function after a couple of years. 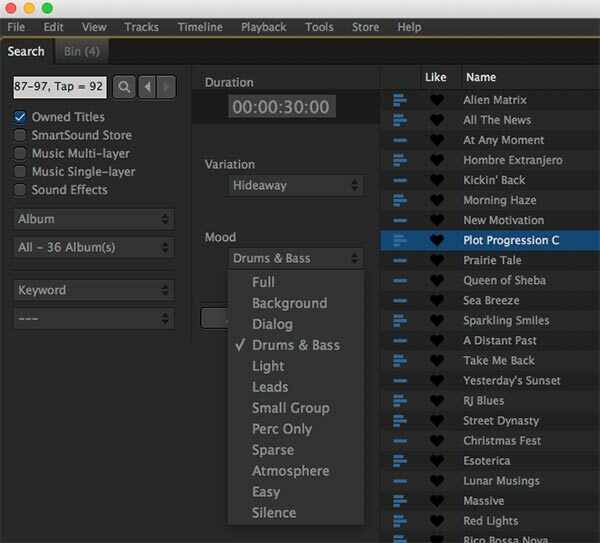 Magix and Apple offer applications where you can create your own loop-based tunes; however, neither starts with finished compositions that can be modified both in length and arrangement with such ease. While music choices are very subjective, I’ve personally built up a SmartSound library over the years, which lets me offer clients quality music alternatives without much fuss or cost. Just another service I can offer to a client. It allows you as an editor to be the hero to your client and accomplish the task expediently and on budget. 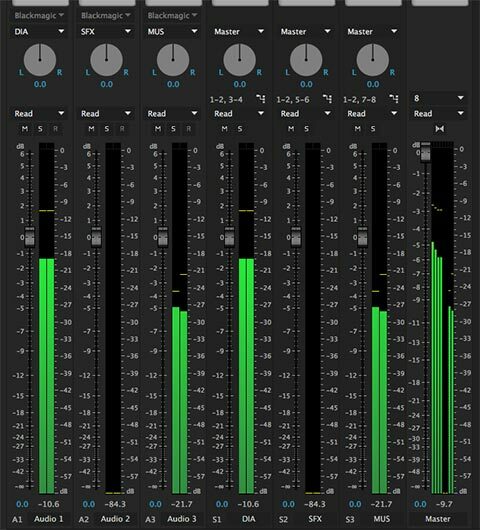 As more emphasis is being placed on loudness compliance around the world, it’s important for editors and sound mixers to have the right tools to stay legal. iZotope offers its Insight metering to see where your levels are, but a new addition is the RX Loudness Control plug-in. This not only analyzes your mix, but fixes it to be compliant. This plug-in is designed for Avid ProTools and Media Composer, along with the Adobe Creative Cloud applications. It works with mono, stereo, or surround mixes, but is not a real-time plug-in. Instead, it quickly analyzes your final mix and performs a faster-than-real-time processing of the track. 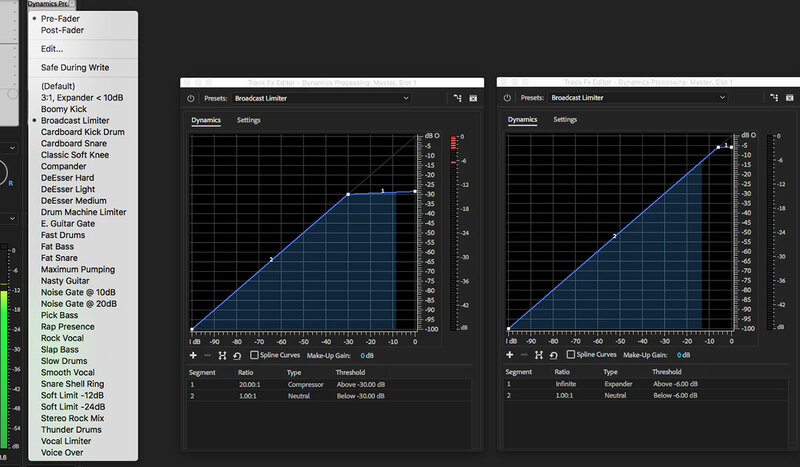 RX Loudness Control includes presets for eight international loudness standards and correction includes three components: fixed gain to hit a specific target, optional short-term loudness compression, and True Peak limiting. By design, the intent is to leave the mix dynamics in place, but where necessary IRC II (Intelligent Release Control) limiting is used. This style of limiting is also found in iZotope’s Ozone 6 mastering suite. 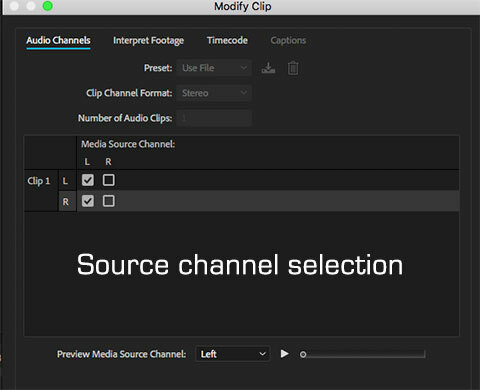 Operation for editors using Avid Media Composer or Adobe Premiere Pro CC couldn’t be easier. 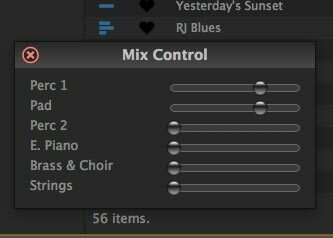 In Media Composer, first create a mixdown clip of your timeline mix and place that on an available track. Mute all other tracks. Apply the RX Loudness Control as an AudioSuite filter to the mixdown clip. 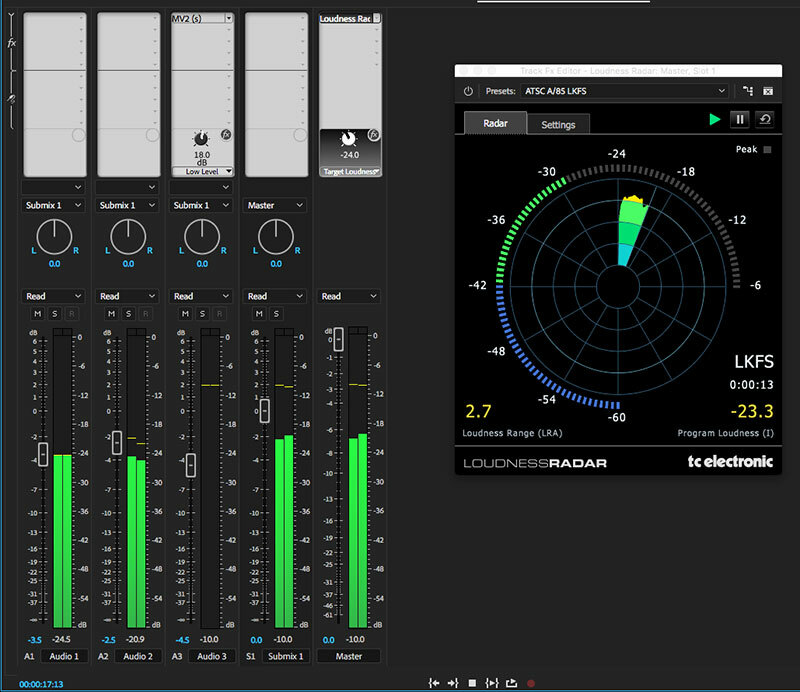 Set the loudness standard preset, analyze, and render. 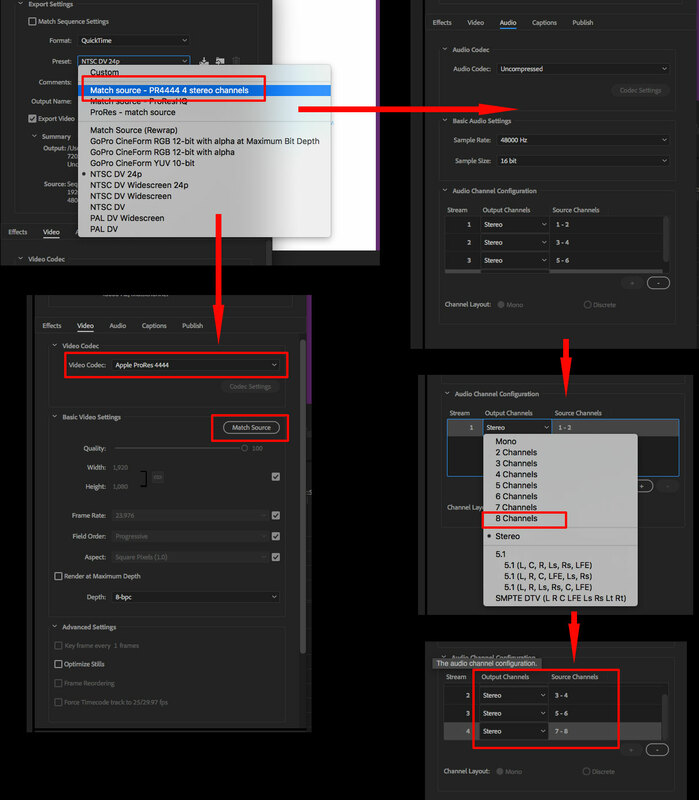 With the Adobe applications, the RX Loudness Control appears as an export preset in the export module of Premiere Pro or through Adobe Media Encoder. Simply export your timeline using the RX Loudness preset. Make adjustments to the settings as needed. 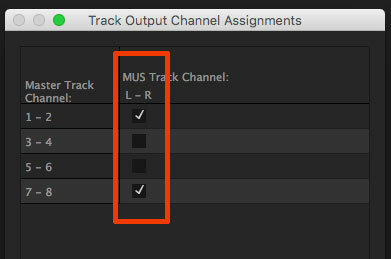 If you want the mixed/processed track to automatically be imported back into the same project, make sure to check that box. Now export. The new .wav file will appear in your project, so simply mute all existing audio in your sequence and drop the processed .wav onto an empty audio track. In the current version, there is no native support for Apple Final Cut Pro X or Logic Pro X. However, if you also own, subscribe to, or have access to Avid or Adobe applications (with the RX Loudness Control plug-in installed), you could use one of those to process your FCP X mix. First export a mix from FCP X as either a self-contained QuickTime movie or an audio file. Bring that into one of the other applications to encode the file using RX Loudness Control. 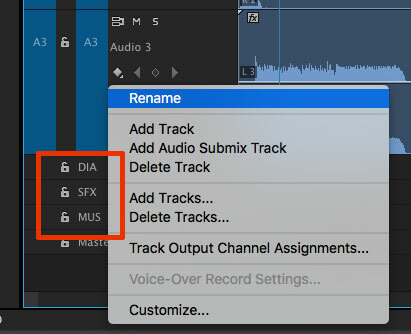 When that’s completed, import the processed audio track back into FCP X. Mute or detach and remove all audio from your project (edited timeline) and connect the newly processed composite mix for your final compliant audio mix.